Trial by oath, trial by ordeal, trial by combat. However did we get from those forms of trial to trial by jury? We take trial by jury as a given, but why is it enshrined in the Bill of Rights? In this book you will ﬁnd out. Robert McWhirter traces the long history of trials in their various forms from Medieval England, through the Tudor dynasty and the problems of Henry VIII, the Stuart Kings and the Georgians to arrive at how trials were conducted in Colonial America with the tussle for primacy between the judiciary and juries. It was as a result of that last struggle that the drafters of the Bill of Rights realized the need for the Seventh Amendment. This lively account is written for the interested citizen, as well as the civics student. Along the way there are surprising, and interesting, diversions into how the events and personalities surrounding the Seventh Amendment have appeared in literature, ﬁlm, sports and popular culture. 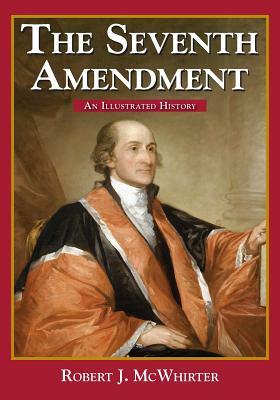 This book was originally published as chapter seven of Bills, Quills, and Stills: An Annotated, Illustrated, and Illuminated History of the Bill of Rights.